My mum always told me I suited hats…. I just never imagined how many I’d have to wear. Life was so simple in my 20’s. I was me (Ok, I wasn’t fully sure who ‘me’ was, but that was all I had to figure out. That, and which boy to kiss.) But life got more complex with every year and now, between parenting, daughtering, working, writing, separating, and socialising I have so many hats my scalp is itching and my eyes are twitching and I feel half mad. On a good day I get to take one hat off before I put on another, and hopefully have a nice cup of tea in between. But that is rare. Most days I have to jump and juggle in a peculiar pantomime – keeping all my hats in the air and swapping them around at high speed. One on, whip it off, put another on, whop it off, put a different one on, zip it off, put the other one back on, quick quick until somedays I tell the dog to set the table and call one of my clients ‘sweetheart’ on the phone. Sometimes if I wake early and I don’t have a little body in the bed I might write in the morning darkness (writing hat). Then I make muffins and have breakfast with the girls and walk them to school (mummy hat). Then I come home, put the kettle on and morph into Super-focused Business woman (work hat). Then I run to the school switching hats on the way for pick up, and the afternoon is spent in a hassled hat dance (homework, emails, play do, phonecalls). Once I threw the phone for the dog and kept talking to the plastic bone. The phone bone squeaked and he chewed the bone phone. Evenings are a mix of hats as I get bits done in between three bedtime routines. 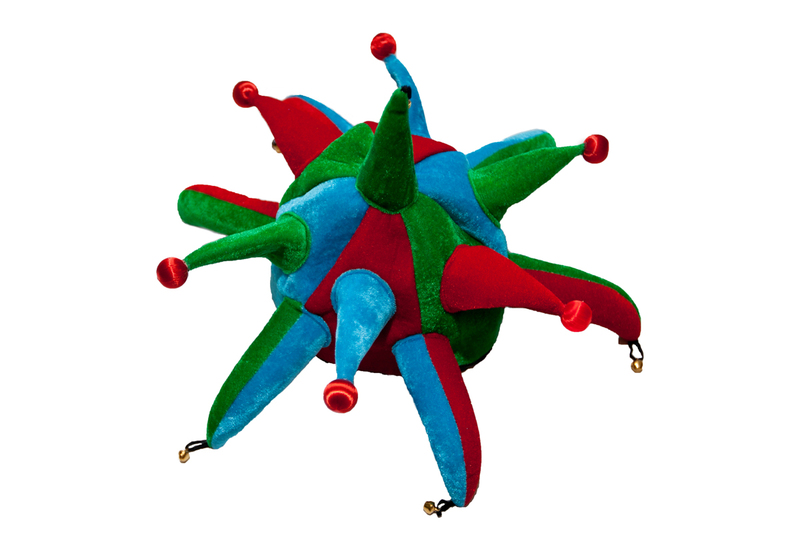 Sometimes I feel like one of those silly clowns – a pile of hats stacked on my head as I play all hats together. For my day job I write for charities, I do a lot of work for Medicine Sans Frontiers and last year I was immersed in ebola for several months. I had to interview doctors and nurses who were working in the most distressing of human conditions. I try and make sure I work when my girls are at school or bed, but sometimes I have to do what suits others. Squeezing a chat to me between treating ebola patients trumps my school run timeframe. So I set Ruby up with her colouring and told her she had to be super quiet. The line to Sierra Leone isn’t great at the best of times. From a make-shift medical tent it’s pretty crap so I had to listen very carefully. This doctor has just spent a day treating children and families dying in their droves of a disease that inflicts maximum indignity and pain. It takes an hour just to get out of the protective gear and drink enough water to rehydrate before they collapse. So when Ruby comes in to my room to tell me her pen isn’t working I hold up that finger – ‘the I am working, do NOT disturb’ finger and keep listening and writing. She persists. My finger stands strong and then points out of the room. She starts to wail. I start to run. She follows me. This doctor is telling me about terrible tragedy and I cannot interrupt with my domestic issues. So I run into the downstairs loo and barricade myself in. Ruby starts bashing on the door. I am literally sitting on the floor, phone in one hand, pen in the other, notebook on my knees, with my feet pushing against the door as she tries to kick it in. Now that I am occupying the toilet, she switches tact, the pen no longer an issue. “I want to do a poo!” she screams. I try to talk over her noise. I keep asking questions, and taking notes, the sweat pouring off me, and Ruby shouting ‘I want to do a poo! !” every 30 seconds. “I want to do a poo!” Listen, scribble, sweat. “I want to do a poo!” I’m nearly in tears and not just because of the doctor’s story. At last my call nears it’s end and I realise Ruby is no longer screaming. She has stopped kicking the door. I relax my feet. I say goodbye. I open the door. I wish I hadn’t. I see my little girl smiling at me. She points to the steaming pile beside her. She sure did. And I won’t tell you what the dog was doing with it. My working day. So when I had to take a REALY important phonecall yesterday and the timing wasn’t great, I knew I had to haggle my hat wearing skills. This was a REALLY important phonecall. The kind of phonecall you REALLY want to dedicate your life to! (I hope to be able to write about that phonecall and why it was REALLY important soon!). But I was in possession of one child (same said 4 year old), due to pick up two others and in a rush to the train station to get up to see my mum who isn’t well. So I looked at my hat collection and figured out a plan. I would buy Ruby a new colouring in book. We would do our jobs which included driving through the car wash, then get to the school half an hour early. She would colour and I’d take the call in the car, begging her with my eyes to be quiet and hoping my girls would understand if I was still on the call when I picked them up and gave them the finger (the work finger, the work finger!). I would get home, throw them into the house, where their dad is taking over for the weekend, and rush to the train to get up to my mum for a weekend of wearing a daughtering hat (with a bit of writing wearing too). But it all went horribly wrong. The garage didn’t have the colouring book I’d promised her so I had to go to another shop. This made me later than I wanted to the car wash but a bird had had diarrhoea above my car and I’d promised Ruby an exciting car wash experience (poor child, the height of her cultural experiences with me are Hello Kitty colouring and car washes.) But there was a queue. And before I realised, another car had come in behind me and I was trapped. Trapped in a car wash queue with a 4 year old, the wrong colouring book and a VERY IMPORTANT phonecall due. This is not the kind of call you take while sitting in the car wash! I now faced the prospect of starting the REALLY important phonecall trapped in a car in a car wash with a VERY unpredictable 4 year old, and then continuing while driving like a lunatic to the school, talking while I park anywhere I can find and run to the yard, dragging 4 year old, collecting my 2 children, telling them not to speak to me – all while pretending I am actually sitting in my office! There is a hat for that – it’s got bells on the top. Sometimes I do feel like the joker, the court jester, the puppet on a string, and I look around to see who is laughing? But no-one is. It’s just life, sandwiched between caring for young children, older parents, and myself. So did it all work out? It did. The call was late, my Not Quite texted to say he would pick up the girls and I swerved and screeched the car into my driveway just as my phone began to ring. It was a good phonecall. It took longer than I thought, but I made the train by the skin of my teeth. And for the first 10 minutes of the journey, I just took all my hats off, and closed my eyes and breathed. And smiled. Then I opened my eyes, and put on my writing hat and worked until I got to Belfast and when I got to my mum, and she smiled, and her eyes said all the words of love she used to say to me, I put on one of my best hats of all…. my daughter hat.